Wow, what a year it has been. I have an amazing new studio, I have created flowers for many, many weddings, met some amazing brides, held summer and winter workshops, entered the Chelsea Flower Show heats twice, opened my garden for charity, been featured in the Berko Loop, made nearly 100 wreaths and bouquets, hosted workshops all over the county and also hosted workshops for the Hospice of St. Francis. On top of that I have looked after two Hearing Dogs which have both qualified and gone off to their recipients. Flowers are my passion and if I’m not busy in the studio, I can be found in the garden growing my own cut flowers for my weddings. This year already is very busy with wedding slots filling up fast. Do book an appointment if you are planning your wedding. A little taste of 2018. Apologies for the silence. I have missed writing my blog, but life seems to be all hash tags and photos, with no writing involved! It's been a long hot summer so far, with plenty of weddings, workshops, and lots of flower orders, using the amazing new studio to it's full potential. New workshop dates are now available, and the workshops we have done so far, have been a huge success. Everyone loves being in the studio including my hearing dog in training, Ash. There are a few places left on the workshops going forward, so book early to avoid disappointment. Dates for weddings for 2019 are filling up very quickly, so do come and see me if you are planning your wedding to avoid disappointment. Thank you to everyone who came to the lunchtime or evening session of the opening. It was a huge success and worth all the hard work. Everyone was blown away and I'm just loving working in a clean and warmer environment. A huge thank you to Mark Weston Builders who did an amazing job. My workshops are now booked in, so do please book early to avoid disappointment. THE NEW STUDIO IS HERE! Drum Roll please! I was going to wait until everything was in it's place, but I'm so excited that I want to share my new studio! It's been a long time coming and so worth the wait. The dream has become a reality. If you are passing please do pop in. I will now be open on Friday's selling flowers and pre-orders, as well as selling vases, containers and bits and pieces. I have a kettle and am happy to show you around my garden. I will be having a Grand Opening, watch this space for the date! 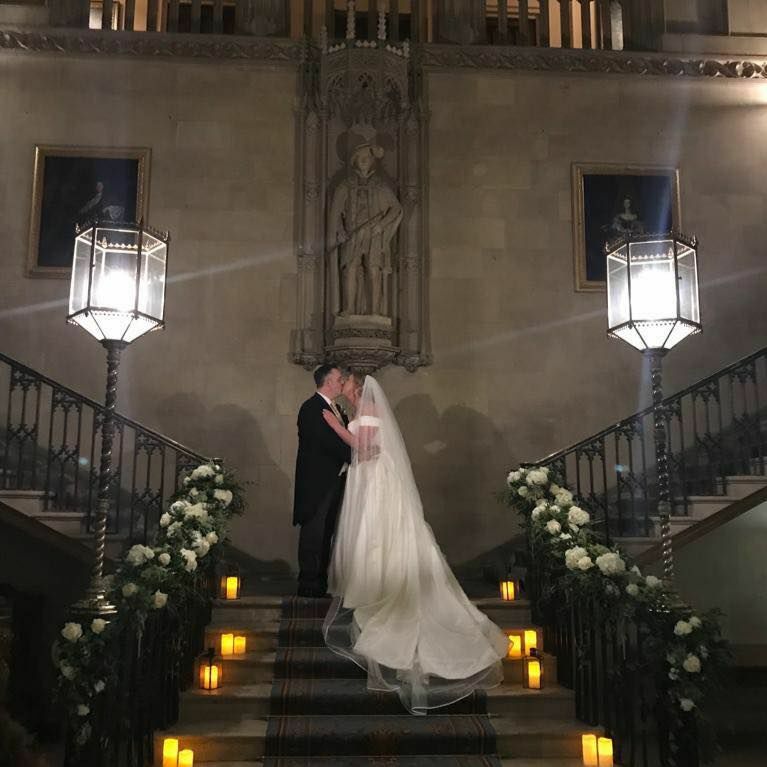 A huge congratulations to Jamie and Sumit who were married at Ashridge House on Saturday. I loved working with these two, such a relaxed wedding! Beautiful vibrant spring flowers with an elegant staircase of peonies, ammi, clematis, roses, larkspur. 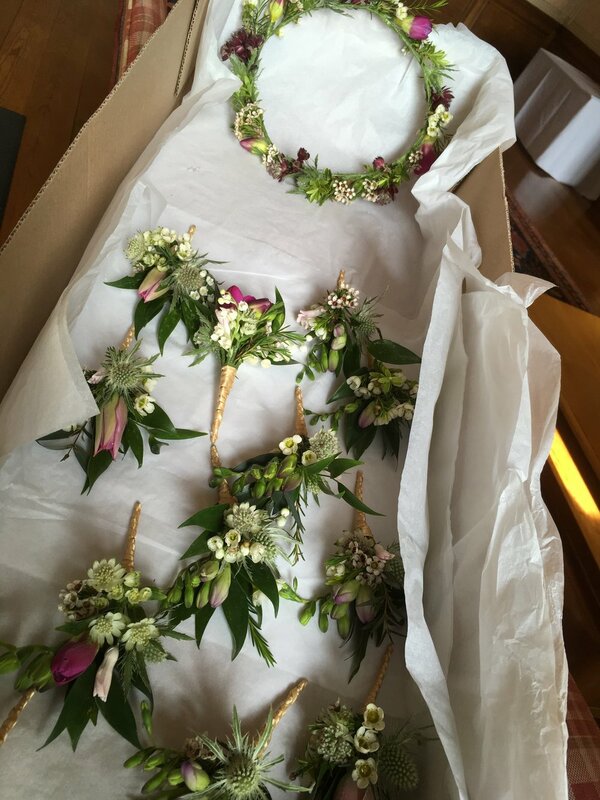 A gorgeous head dress for Jamie's sister and each buttonhole was different to the last. Wedding Season has started early this year! Sorry for the lack of news! Life at Forever Green has been hectic. 3 weddings already this year, and big news in that my workspace is being converted into a very smart studio as we speak. The floor, ceilings and lights are in, just waiting on the new doors and for the decorating to be completed. I will be having an open day/evening with drinks and nibbles for you all to come and visit and workshop dates will be announced very soon. Apologies for the lack of posts. It has been a busy few months and here are some photos of what I have done since November. My wreaths were popular as ever, and I had the honour of decorating the stage at the Royal Albert Hall in December for a charity concert and also flowers for HRH Duke of Kent in the Royal Box! The wedding season is already under way, and I have been asked to attend the Luxury Wedding Fair at Ashridge House on Sunday 25th February. If you are planning your wedding and not sure about flowers, why not pop along and come and have a chat on my stand. I will be making designs all day. I am also delighted to tell you that I have been training a Hearing dog for the Deaf, and he passed his final exam last week, so is now a fully qualified hearing dog and off to work very soon. I will miss Enzo very much, but delighted that he will be helping someone who needs him! More news to follow. Hannah and Tom were married in Old Amersham Church with the reception held at The Kings Chapel. A beautiful venue. An amazing couple with a wonderful family. A year of planning, but it was well worth all the work. It is very special when the client becomes a friend! A huge congratulations to Amy and Jon on their amazing wedding. They are both so creative and came up with the most amazing ideas! I just loved working with you both! Jon designed and built the swings. The clear sides of the marquee merged the stunning gardens of Nettleden Lodge with the décor. An amazing wedding and just loved using Café au Lait dahlias and Peonies. Congratulations to Lucy and Dave on their wedding on Saturday in a Tipee with views to die for at the top of Dudswell. A wedding I will never forget. The weather played the biggest part and we had to battle with the elements! They did however manage to exchange their vows under the arch and the sun came out briefly. A gorgeous festival wedding with lots of different elements. Sadly I have no photos of the venue finished as it was raining so hard and we were too busy holding up gazebo's and arches! There were 15 head dresses too, but sadly no photos either. 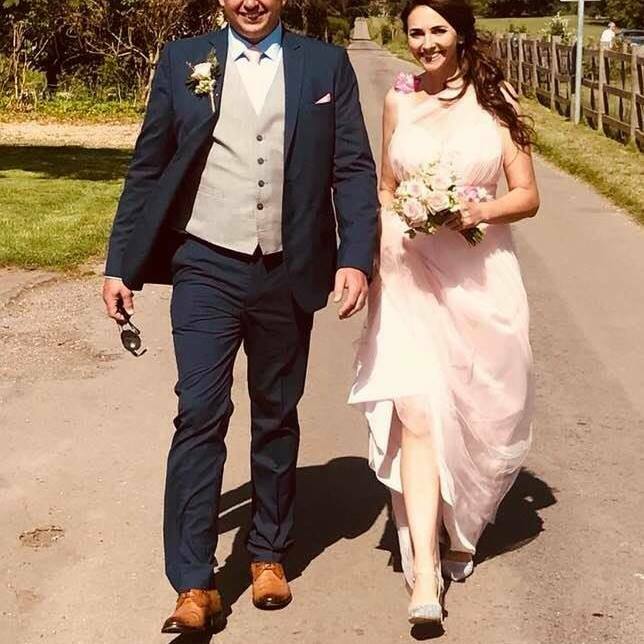 A huge congratulations to Lynsey and Darren on their wedding on Saturday at Langlebury Church and afterwards at the Cart and Horses, Sarrat. Here's some amazing photos I was sent of their day and the beforehand. What a brilliant family - love you all to bits! The service was held at St. Barts Church, Wiggington, followed by a gorgeous reception in a Yurt at home. A wedding with a twist, half an arch and one pew end made with jasmine which smelt divine! The bridal bouquet made with home grown Lily of the Valley and Sweet peas, along with Astrantia, blush roses, and Larkspur. Wow! What a way to start the wedding season! Forever Green goes on tour to Loseley Park, near Guildford and St. Nicholas Church, Compton. . With over a year in the planning, it was such an honour to be part of their special day. Thank you to Helen and Sarah for letting me share your dream. We had the most gorgeous day for our spring workshop, with the sun shining, and were able to have the doors open on the studio. My 4 ladies had a lovely time making Easter table decorations. I have added another date to the Spring Floral Workshops. Saturday 8th April 2017. Call Nicky to book your place. Stuck for a Mother's Day present, why not buy a gift voucher. Get creative with fragrant spring flowers, foliages and gorgeous accessories. 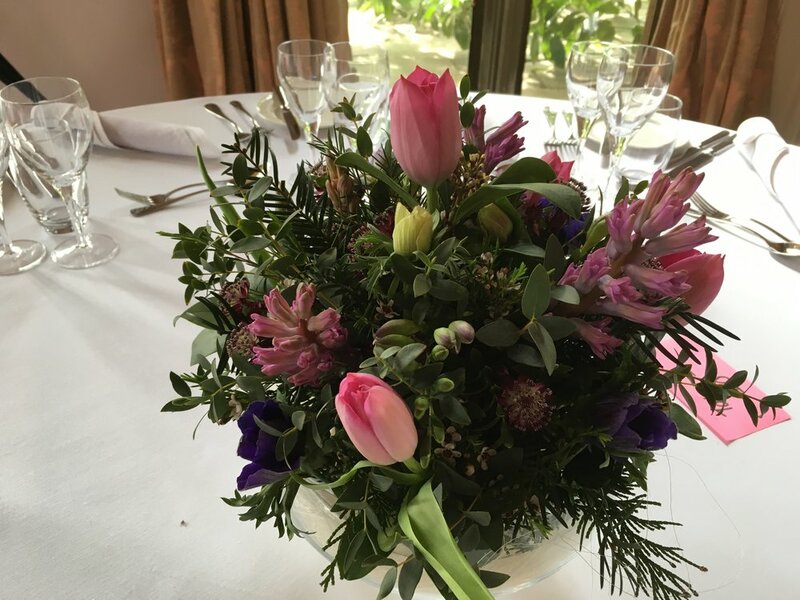 Nicky will help you make a fabulous centre piece for your table, an arrangement on bark and/or a spring hand tied bouquet with a collar for you to take home. Just come in warm clothes and sensible shoes and leave the rest to Nicky to help you have a fun and creative day to remember. October Cottage, Nettleden, Hemel Hempstead, Herts, HP1 3DQ. Phew, what a busy December! Happy New Year to you all, and wishing you a prosperous and safe 2017. Really looking forward to all my weddings this year and there will be more workshops, spring and summer. If you are looking for a present, why not buy someone a gift voucher for one of my workshops. I can do a one-one if you prefer or groups of up to 6.